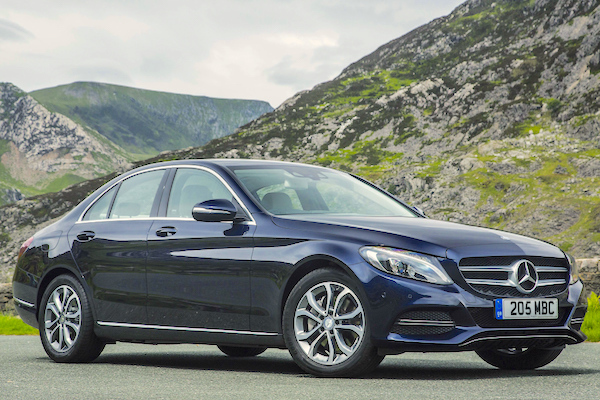 The Mercedes C-Class is up to #6 in England in 2017. Thanks to our partnership with SMMT we can share with you the Top 10 best-sellers for England over the Full Year 2017 as well as December. Keep in mind this is only a zoom in by nation, all sales figures will be included in the upcoming FY 2017 and December UK updates. As it is the case for the overall UK market, in 2017 English new car sales are down for the first time since 2011 at -5.3% to 2.193.608 registrations. Representing 86.6% of the UK market, the English Top 10 models are usually very similar to the UK charts. Not in 2017. Most UK company leasing and rental car purchases are centralised in England, meaning the English charts are removed somewhat from what ‘real’ consumers buy compared to UK’s other nations. And this is reflected in the 2017 ranking. The Ford Fiesta remains the best-seller in the nation despite a harsh 21% drop to 3.7% share, while the VW Golf (+8%) advances to a best-ever #2, followed by the Ford Focus (-1%) and Nissan Qashqai. So far, 100% like in the UK. But the rest of the Top 10 is totally different. A fleet darling, the Vauxhall Astra (-19%) ranks 5th instead of 6th in the UK, leasing champion the Mercedes C-Class (+4%) is up to #6 instead of #9 and the Mercedes A-Class is up to #9 instead of #10. Reversely, the Vauxhall Corsa (-34%), down from #2 in 2016 and #5 in the 2017 UK charts to #7 in England, and the VW Polo (-12%), down from #7 in 2016 and in UK 2017 to #10, are more popular with private buyers. Full Year 2017 Top 10 models vs. Full Year 2016 figures below. Full December 2017 Top 10 models ranking below.